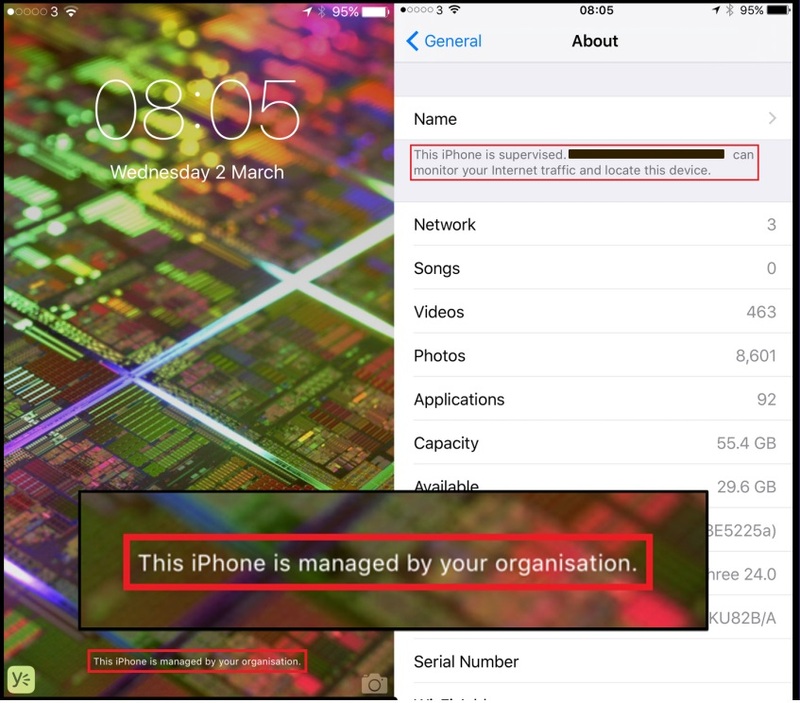 New Massage in iOS Beta "iPhone is managed by your organization"
People using an iPhone that’s owned and managed by the company they work for may not know what their company can see — they may not even be aware that the company has insight into their phone at all. Keeping that message on the lock screen could remind people to be more careful with how they use their corporate phone. The message’s addition comes as Apple is growing increasingly attuned to concerns of surveillance. Since this message is only in the iOS beta, it’s possible that it’ll be removed or changed before the final iOS 9.3 released.